Fibre Channel port security prevents unauthorized Fibre Channel devices and switches from logging into the fabric. This protects the fabric from accidents, malicious intent or attacks such as WWN identity spoofing. It’s configured on a per-VSAN basis. 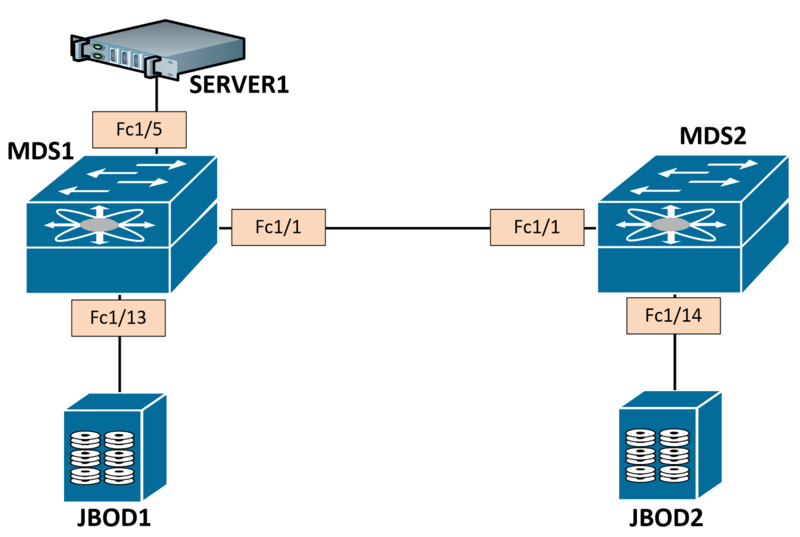 The first method is definitely most practical, as you can configure once, learn the current environment, and use Cisco Fabric Services (CFS) to distribute throughout the fabric. I’ll be following this method in this blog post, feel free to follow along. Also added a quick template at the bottom. 4. Issue a CFS commit to copy the configuration to all switches in the fabric. 7. Issue a CFS commit to copy the configuration to all switches in the fabric. 9. Issue a CFS commit to copy the configuration to all swathes in the fabric. Here’s our topology, let’s begin. You have 2 databases in FC Port Security. 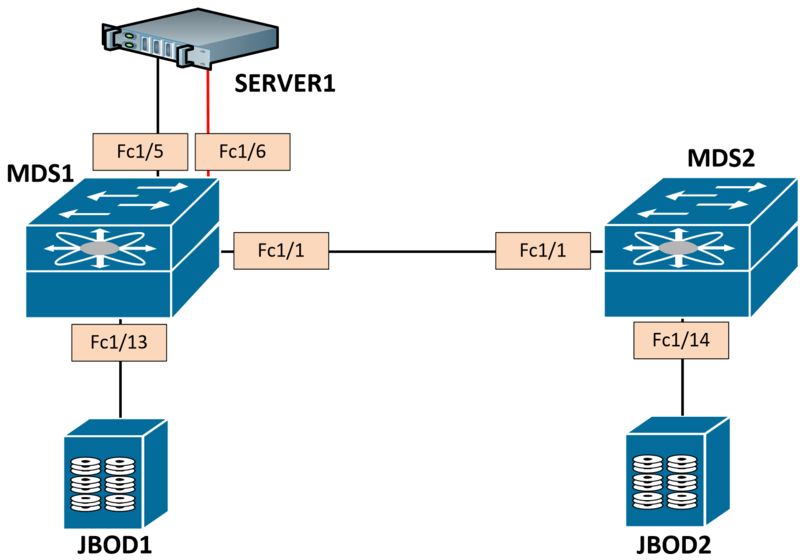 Configuration database – This is the local database on the switch where configuration changes are stored. Active database – The active database is what is currently enforced by the fabric once auto-learning is disabled. All devices connecting to a switch must be in the port security active database to participate in the fabric. Remember, the active database is not yet enforced since we’re still in auto-learning mode. However, our local Configuration database is empty. If we reboot this guy, we have no database = not good. Addtionally, there is no “diff” which is used to view the differences between the active database and configuration database. Interestingly enough, if I type diff and then “?” I’ll see the next available commands. MDS1(config)# port-security database diff ? 9. Issue a CFS commit to copy the configuration to all switches in the fabric. 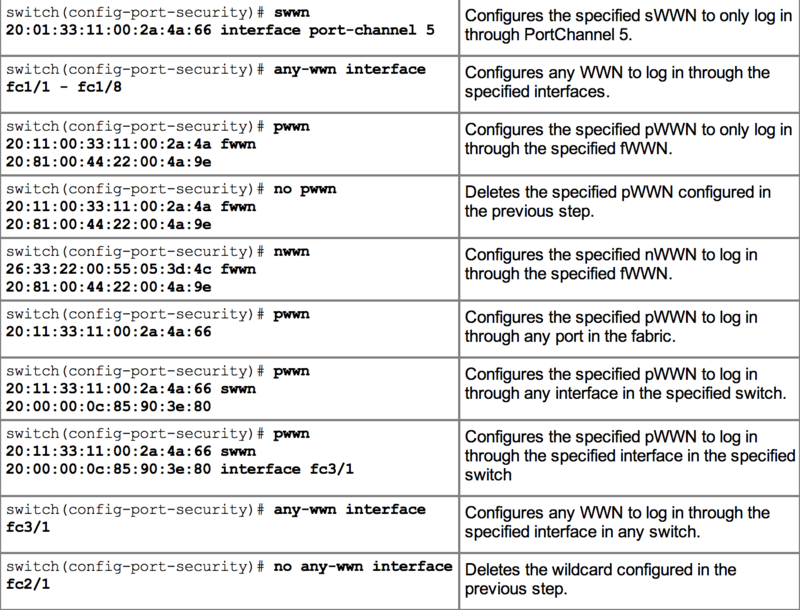 Now, let’s see what happens if we bring up another interface in the fabric on VSAN 101, and a device tries to FLOGI a WWN that is not in our database. What if we wanted to add this to our database? Well, we could enable auto-learning again, build the new database and activate. We could also manually add this to our database. MDS1(config)# sh run | b "port-security database"
The following commands are hidden from the configuration mode but usable. You can also access these commands from exec mode.